Can gluten cause fibromyalgia? I’ve heard this question asked so many times and always wondered if there was any truth to it. More research is linking a connection between gluten and fibromyalgia and more doctors are responding to their patients’ FMS by prescribing a gluten free diet. Aside from the obvious carb count that many of us want to avoid, is eating a slice of whole wheat bread really that bad for you? The answer is yes, it can be. Okay, wait… hear me out before you think I’m trying to sabotage your chances of ever getting to enjoy a pizza again, or spaghetti and garlic bread with the family. I know it’s a lot to take in, however there could be so many benefits worth considering, by going gluten free. Celiac is an autoimmune disease characterized by stomach upset, gas, bloating and cramps when gluten is consumed. 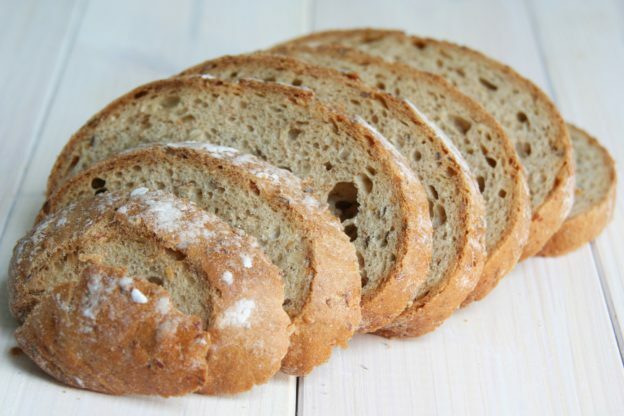 Gluten is a protein that is found in many grains, including rye, barley and wheat. Many people who suffer with celiac as well as IBS also have fibromyalgia, and conversely, many people with FMS develop celiac and or IBS. Approximately 3 million people in America suffer from celiac disease, but many more are likely living with celiac and are not even aware of it because diagnosis can be so difficult. Even if you do not suffer from celiac, you may have a gluten sensitivity. Gluten sensitivity can be minor and for the most part, go unnoticed or automatically attributed to something else. Feelings of bloating and discomfort are often ignored. On the other hand, celiac disease is a severe sensitivity or intolerance to gluten. 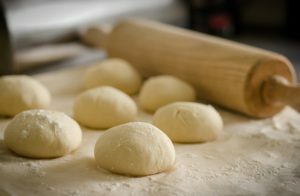 How is gluten connected to fibromyalgia? Gluten has been shown to cause inflammation in the body leading to many symptoms that are very similar to fibromyalgia which is an inflammatory disorder, including anxiety, whole body pain, sleep disturbances, fatigue, diarrhea, bloating, brain fog and cramps. There is much evidence that a non-celiac gluten sensitivity may be the cause of fibromyalgia, however, more research would need to be conducted before it is conclusive. Still, whether gluten is actually the culprit or not, eliminating it from the diet can certainly help and has already helped many who suffer with FMS. It is no surprise that many people who suffer with fibromyalgia, including some of my own clients, have noticed a significant reduction in their symptoms. In some cases they have even reported complete symptom relief after adopting a gluten free life style. In one study conducted in 2014 involving 97 FMS patients with comorbid IBS showed “a slight but significant improvement in all symptoms” after following a gluten-free diet for one year. The study goes on to state: “our findings suggest that further studies of the subject are warranted.” There are more studies pointing to the effectiveness of going gluten-free, and I believe that they are absolutely warranted. Some people notice even greater health benefits and a reduction in overall pain once they remove dairy from the diet as well. It is possible to have a sensitivity to lactose, the natural sugar contained in milk and other dairy products. Everyone can benefit from staying away from heavily processed food and trans-fats. If you see the words hydrogenated or partially hydrogenated oil on an ingredients list, it contains trans-fat. 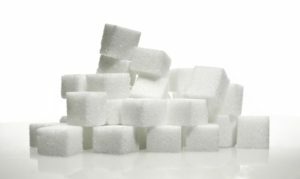 Sugar has also been shown to cause inflammation, not to mention its connection with type 2 diabetes, cancer, obesity, tooth decay, heart attack, anxiety and what’s known as ‘sugar crashes.’ Much like gluten, sugar causes inflammation in the body that can worsen joint pain. I’m not going to lie to you, it’s not going to be easy. But it’s not extremely difficult either. I personally have been gluten free for about 3 years now, and it does get easier. Don’t get me wrong, I still mess up from time to time, but I avoid gluten whenever I can. Thankfully there are a lot more gluten free options these days, including gluten free pasta, pizza dough and bread. If you are going to opt for a gluten- free snack, however, make sure that it is not overly processed or full of chemicals etc. Try to purchase organic, GMO free products whenever possible or at least goods that contain simple, pronounceable ingredients. Please keep in mind that everyone is different, and some may experience relief almost immediately while for others it may take longer. If you are unsure if you have a gluten sensitivity or are whether giving up gluten can help, my suggestion would be to commit to a gluten free and dairy free diet for 6 months. If at this point you are still not sure, try adding dairy back into your diet and see how your body reacts. Then slowly add gluten back into your diet to see how your body responds once it’s been away from it for so long. If you notice your symptoms coming back or worsening, there is a good chance you have a sensitivity to dairy, gluten or both. While there may be some sacrifice involved in making certain diet changes, including giving up gluten, many will attest to the fact that the benefits certainly outweigh the difficulty or inconvenience. If you feel that following a specific diet plan may help you, the paleo or ketogenic diet might be worth a try. Keep in mind, however, that while they are both low in carbs (sugar) they still both allow for dairy, should that be something you want to avoid. Thanks for taking the time to read this post, I hope it has helped. As always your questions and comments are always welcome. This entry was posted in Uncategorized on February 1, 2019 by Michelle.